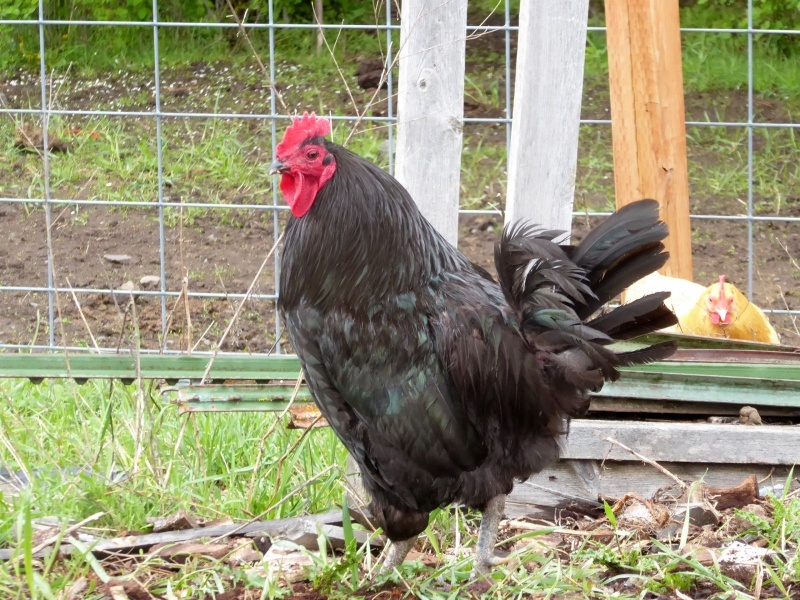 This morning around 7:45 am -- in other words, broad daylight -- I heard a commotion outside with the chickens. I glanced out the window and saw several hens fleeing down the driveway, cackling in alarm. I was outside in a flash, in time to see a coyote blatantly clambering over the compost pile toward the fence into the woods. "Hey, get out of here!" I shouted, and ran toward it. It disappeared from sight. 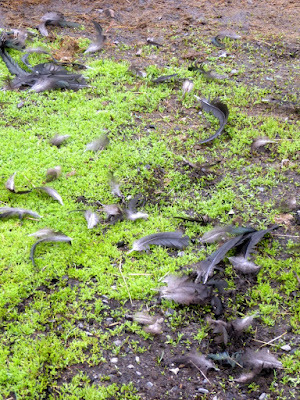 I stalked back and forth, checking for any injured birds; and since there was an enormous pile of feathers at the base of the compost pile, I figured the predator got his meal. But not so fast. 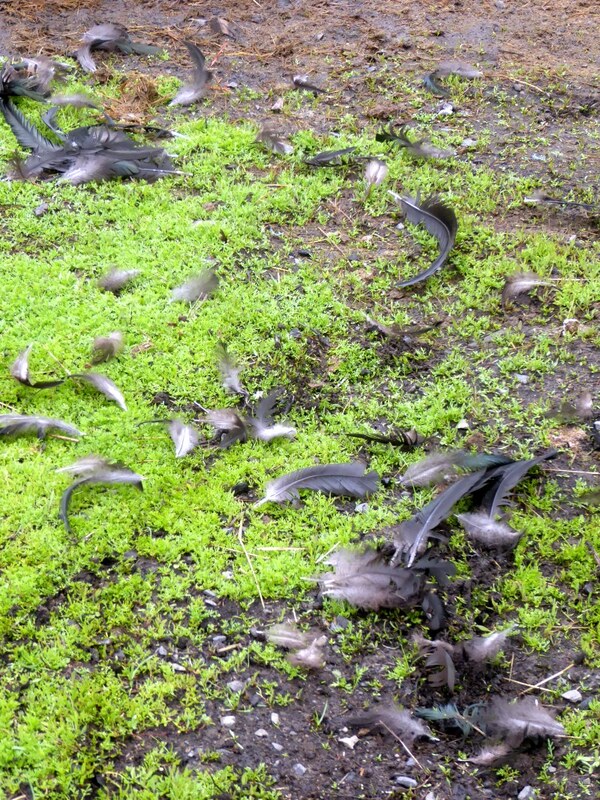 It seems the coyote had grabbed a rooster by his tail and got nothing more than a mouthful of feathers. Remarkably, the rooster was unhurt. Here's our boy with his libido reduced (I also associate rooster tails with mojo). That is one lucky bird. They say cats have nine lives, but I'm calling chickens on this one. The rooster may have lost his pride and joy, but he gained his life. Fair trade-off, I'd say. And we're keeping the shotgun handy. We had a fox dig a hole and get into the chicken yard last week. All the chickens got out and one was missing. We looked high and low and figured the fox got it but low and behold the next morning it was calling to be let back in. I am thankful for close calls!!!! Is that golden chicken a jersey giant too? No, it's one of two remaining Buff Orpingtons. 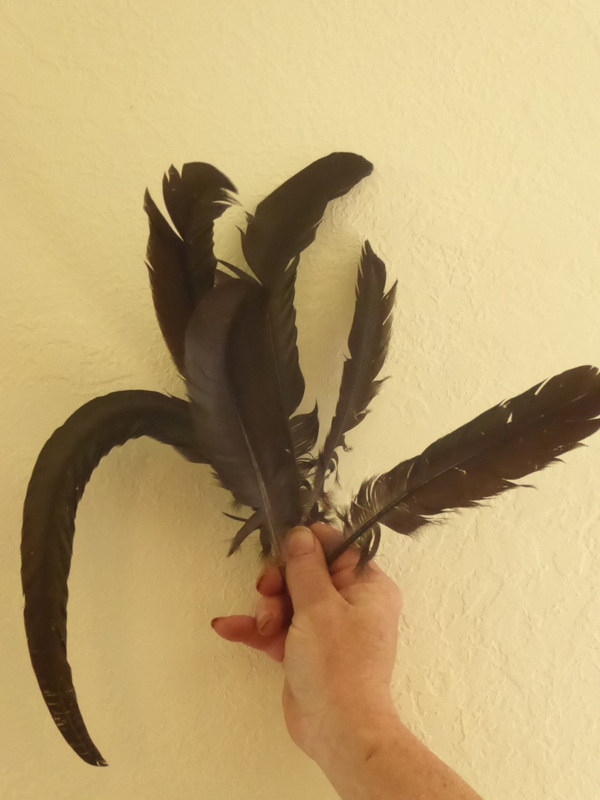 We have two Americaunas, two buffs, and one black Australorpe hen left from our old flock. it i still can't hit the broadside of a barn. Now that guy has found your farm he will be coming back until you shoot him. In the 30 plus years that I was running about 500 angora goats and sheep I killed literally hundreds of coyotes. Hence my nick name, Coyote Ken. Anyway you need to get him quick or he will clean out you chickens. 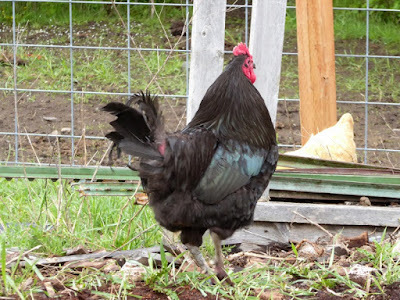 They are most active just after dawn when the chickens first go out so if you are waiting for him then with your rifle you will probably get him in the next couple of days. But stay alert as they are active all day and night. Good luck with that. Strangely enough, a coyote made away with one of our hens yesterday so we are keeping them penned for the time being. Seems like they are looking for a quick/easy meal this long spring season. What a good rooster! The coyote tussled with him instead of one of his hens because he was doing his job! Standing between danger and his ladies. Good Fellow! For those dealing with predator problems, consider a llama. Get one that has been raised right and does not spit at people, and pay the money for them! Gelded males are excellent. I had a whole male, born to us the first year at our ranch, guard my herds and flocks for 7 years. 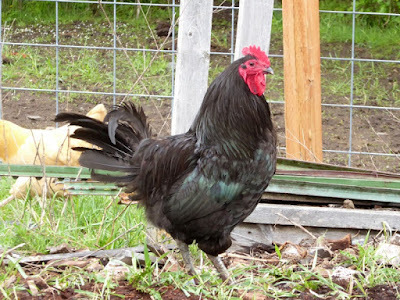 Cattle, sheep, chickens and turkeys, I lost one rooster in all those years Sparky kept watch over his charges. That was the only animal we lost, and the rooster was protecting his hens just like this fine fellow did. Ours got a broken leg from the encounter and we had to put him down. But the thief didn't get to eat because the rooster got backed up by the llama, rapidly! We lived with cougar, bear, bobcat, racoon, weasels, coyote and even wolves in the area. That one problem only in 7 years. A good llama is worth his feed on any ranch! Just my humble opinion from experience.